What does the Identification option in the Data Entry setup allow me to do? 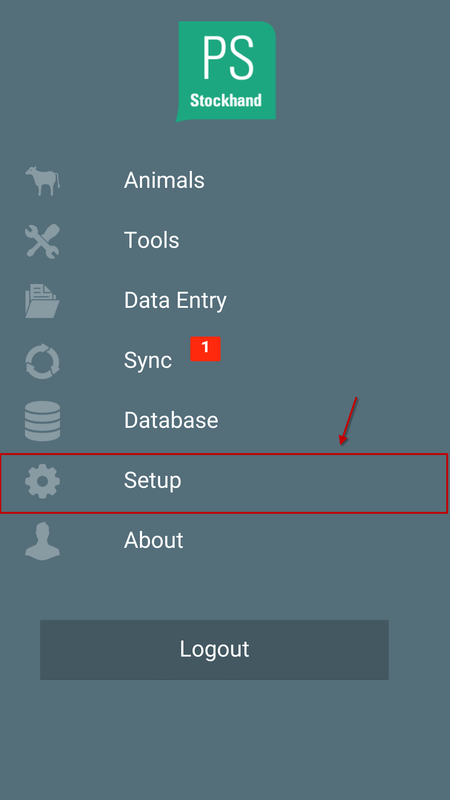 Click on Setup on the home screen. The following screen will appear after pressing identification, here you will be able to edit settings related to ID entry. Visual ID Settings: This screen allows you to set defaults used when entering visual ID's. 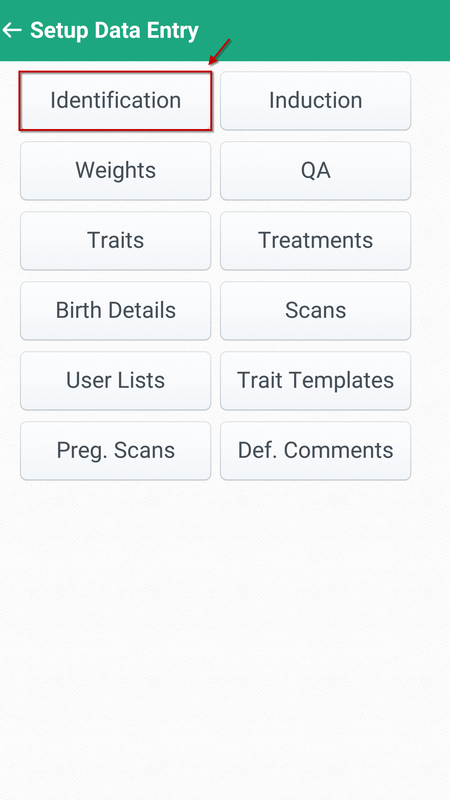 These settings can help make the inputting of visual ID's quick and simple. 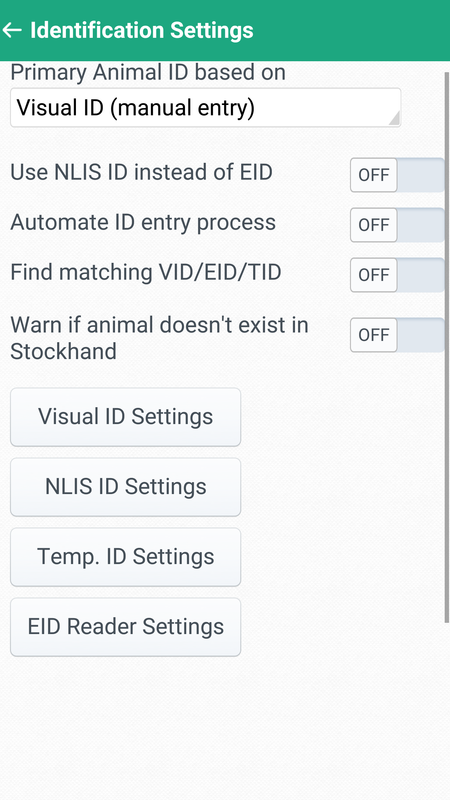 NLIS ID Settings: This screen allows you to configure how you enter NLIS ID's. The input parameters are exactly the same as for visual ID's. Temp. ID Settings: This screen allows you to configure how you enter temporary ID's. 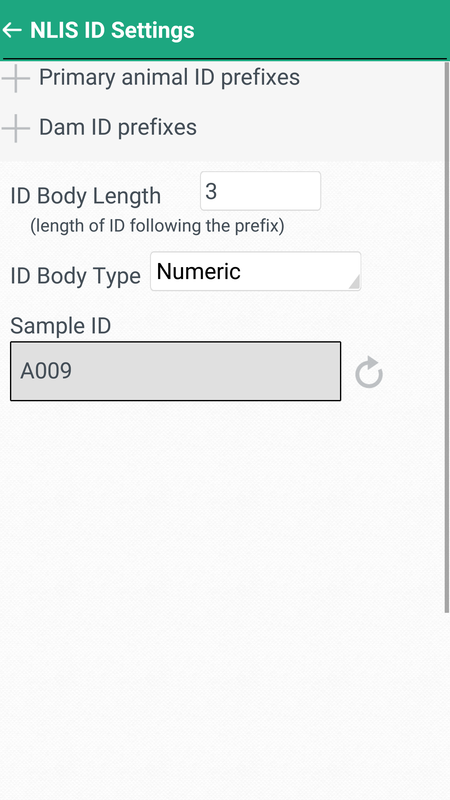 The input parameters are exactly the same as for visual ID's. 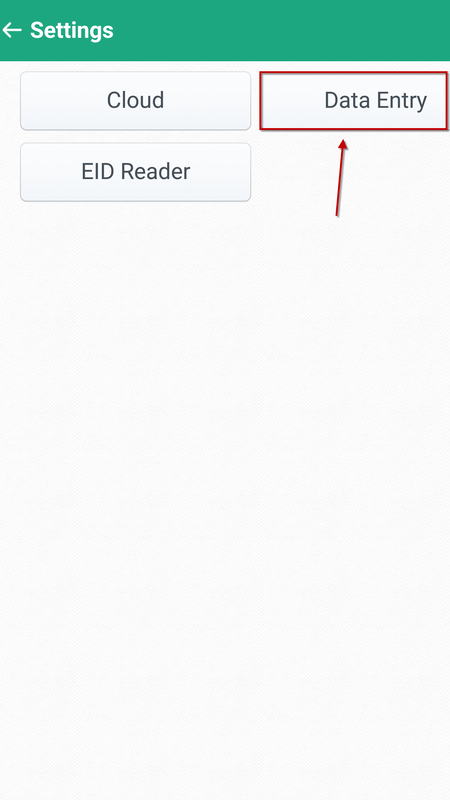 EID Reader Settings: This screen allows you to access the EID Reader setup screen to link a reader to your phone. Click here to view more information about EID Reader setup.